The modern 555mm wide Ivo 2 Tap Hole Ceramic Basin and Pedestal from Premier has a contemporary, stylish design that enhances the appearance of any modern bathroom. 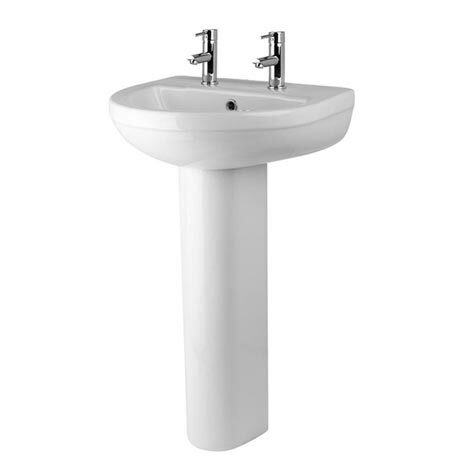 Made from high grade materials and supplied with a full pedestal. Very good product and receive my items so sooner Thanks.